The World Health Organisation (WHO), has called for continued financial and technical support from its international partners to enable the organisation end the Tuberculosis (TB) epidemic by 2030. 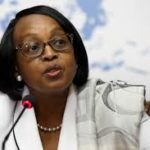 Dr Matshidiso Moeti, the WHO Regional Director for Africa, in her message to mark the 2019 “World Tuberculosis Day” said that with increased global attention on the disease in recent years, the burden was falling in all WHO regions. 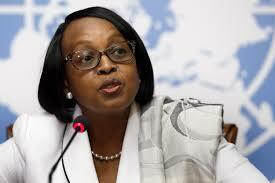 She said that this development was however not fast enough to reach the first milestone of the End TB Strategy in 2020. Moeti said that to achieve the 2030 goal of ending TB therefore, current levels of investment by national governments must be increased as they fall short of levels required to end the epidemic. “TB is at long last gaining a higher profile on the global political agenda, this should create more momentum to reach the targets we have set for 2020 and beyond. “we look to our international partners for continued technical and financial support in the fight against TB and related conditions. “As Regional Director of WHO in Africa, I re-affirm the commitment of my office and that of all my technical staff across the region to work with governments, other partners and communities to support the actions towards ending the TB epidemic by 2030, if not earlier. “The 2018 WHO Global Report indicates that the disease burden caused by TB is falling globally in all WHO regions and in most countries but not fast enough to reach the first milestones of the End TB Strategy in 2020. “In the WHO African Region, declining cases of TB which is four per cent yearly placed it second among all WHO regions over the period between 2013 and 2017. “Also, particularly impressive reductions of four to eight per cent yearly have occurred in southern Africa like Eswatini, Lesotho, Namibia, South Africa, Zambia and Zimbabwe, following a peak in the HIV epidemic and the expansion of TB and HIV prevention and care. “Likewise, efforts must be made to identify and remove the challenges that are slowing down progress as well as adopt and roll out the most cost-effective policy options and interventions,”. Moeti advised that core TB control services be funded from domestic resources and Universal Health Coverage introduced to ensure quality assured preventative, diagnostic, treatment and care services. She also urged political leaders and governments to adopt policy and programmatic actions to foster a multisectoral response to end the epidemic. According to the regional director, this should include initiatives to look for and effectively treat all existing cases, scale up preventive treatment for high-risk populations especially people living with HIV and child contacts of known TB cases. She said that to end the epidemic by 2030, there was also the need to ensure universal access to the WHO recommended rapid molecular tests as first-line tests for diagnosis for all presumptive TB cases. She said that it was important also to adopt the new WHO recommended drugs and drug combinations for treating drug-resistant TB. “Civil society organisations and community systems need to be strengthened as well to provide diagnostic support and care where patients live and work as well as facilitate access to needed services and assist governments in scaling up services. “In my message on World TB Day last year, I called on governments and civil society leaders at all levels to take leadership in combating the TB epidemic in our region. “Following the high-level gathering of world leaders, policy-makers and civil society organizations at the UN High-level meeting on TB in September 2018, all stakeholders are now aware that an urgent global response is needed to a global epidemic. “In the African region, TB is a major challenge to development causing untold human suffering and threatens the achievement of the 2030 Agenda for Sustainable Development. Moeti said that it was time to end the suffering and bring hope to TB patients and their families. She said that the theme of the 2019 celebration of World TB Day is “It’s Time”. The director said that it was an opportunity to reflect on the advances that have been made in recent years but also on what remains to be done to end the scourge of TB in the Region and around the world.